Then a tricycle driver approached us and took our bags to his tricycle. I asked Vane, if he’s Mang Arnel, he seems not. But later on, the guy introduced himself as Mang Arnel’s cousin, Angel. 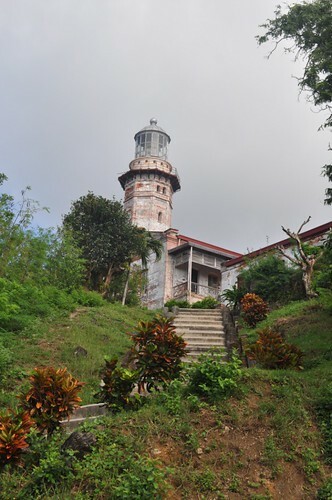 Mang Arnel was already waiting for us at the Lighthouse. From the highway, we traveled up until we reached the lighthouse. It was windy and cold. 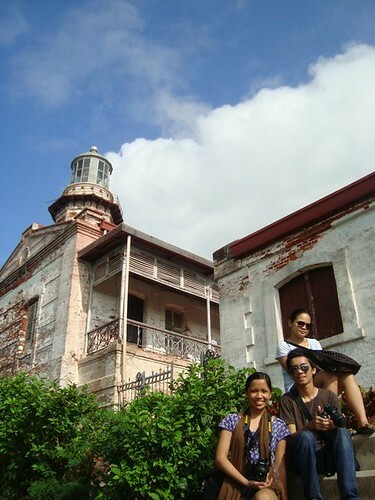 When we entered the Lighthouse vicinity, we saw Mang Arnel and he’s with other travelers. Mang Arnel told me that he’ll just wait for us so we can have our tour altogether. It was hot inside but windy outside. There was no entrance fee at the Lighthouse but there is a donation box located inside and we need to register after. We waited for the Care Taker before we moved on. The Lighthouse stairway was more stable than the Lighthouse that we’ve been to Capones Island. From the top of the Lighthouse, we saw the South China Sea and the land of Pagupud. A good view at the top, indeed. Afterwards, we went down and moved on to our next destination. Since, we have a lots of bags, the other two travelers asked me to ride on their tricycle instead. I was feeling shy that time but later on I accepted their kind offer. 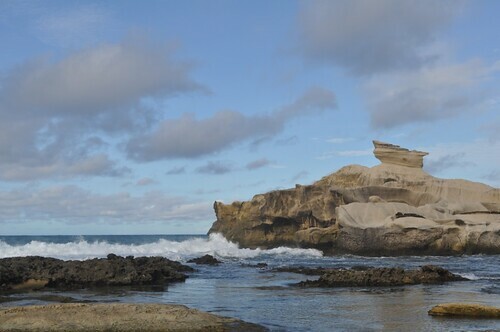 Our next destination, Kapurpurawan Rock Formation. The waves were strong. It was not advisable to swim. But the view was fascinating. We’re all excited as we reached the rock formation. Mang Arnel helped us to go up. It was a nice view on top. The rocks were so amazing and beautiful. I can’t imagine how rocks were formed in such way. I was so cautious with my moves. One wrong step and I might fall. 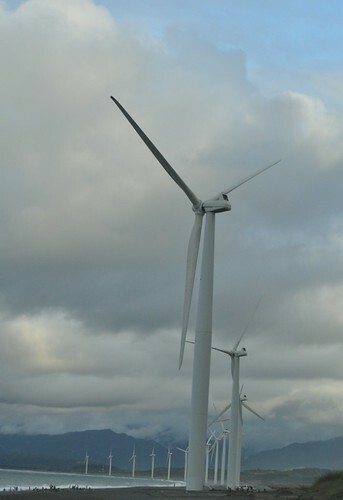 Our next destination, Bangui Windmills. 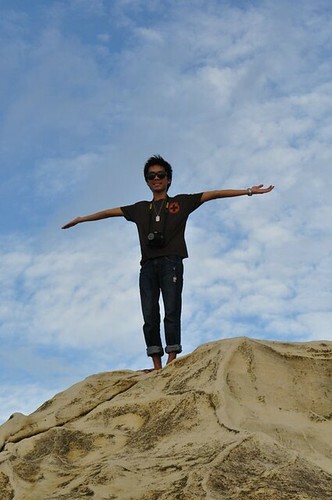 From the Kapurpurawan Rock Formation, it was a 20 minutes travel time going to the Bangui Windmills View Deck. It was a nice view from afar but we wanted to see it up close. So after we took some shots of the Bangui Windmills, we went straight there. It was a 15 minutes travel time before we reached the Bangui Windmills up close. The windmills that I can only see at the pictures are now in front of me. It was interesting and captivating. It was already getting dark, and I felt hungry and tired. We moved on. 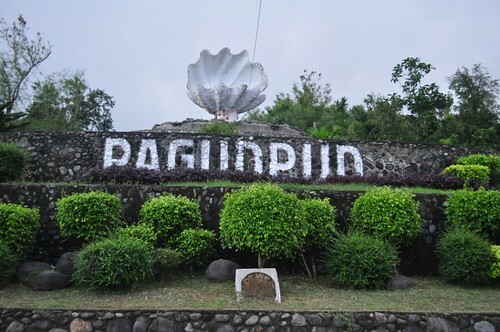 And finally, Welcome to Pagudpud. It was already drizzling and we can’t manage to get off from the tricycle anymore so we’ve decided to go to our lodging instead. I opted Polaris Beach Resort (Me-An/0919.3078803). 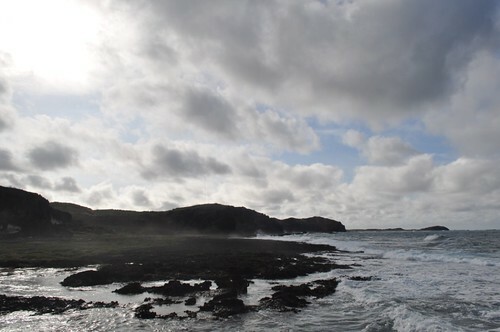 The resort is located at the end side of Saud beach. The room is good for 4 pax and cost PHP 1,500. Though it has no TV and hot shower. At 6:00 PM, we reached the resort. I was surprised that there was an entrance fee of PHP 30.00. It was the end of our South Bound Tour and I asked Mang Arnel to fetch us tomorrow at 9:00 AM for the continuation of our tour. Afterwards, we occupied our room and relaxed for awhile. After a couple of minutes, we went down to the lobby and had our dinner. We planned to have a beach bumming and bonfire at the shore but it was not advisable. It was dark outside so we backed off. We bought drinks and drunk at our room instead before we slept. It was a long day, tiring but happy with our tour. There are hourly trips going to Pagudpud and the last bus leaves at 5:00 PM. You can also ride a bus departs to Cagayan but this buses prioritize passengers going to Cagayan. If you’ll be having a Southbound Tour on your 1st day at Pagudpud, it is advisable to drop at Burgos to save time since Burgos is very far from Pagudpud town proper. Bring some snacks and chips during your tour. For Saud Beach Resort, you may opt to stay at Polaris Beach Resort. (0919.3078803). It is not advisable to have bonfire and night swimming at Saud beach. We visited Pagudpud and other tourist spots you mentioned here in 2009, and I must say that the people there are very nice. What is notable is that the tricycle drivers are accredited by the Department of Tourism, which made us feel safe. Had such great experience and planning to come back, this time together with my kid. Just contact Mang Arnel (0918.6890723)for further details. I think may van din sila. hi, i'm a friend of vane's sister (val), i'm doing some research regarding my vigan, pagudpud and laoag tour..just wanna ask how much i have to pay for a guide such as 'mang arnel'? and out of curiousity, are you somehow related with mang arnel? with this, i can say that i now have a clear view of what ilocos is..